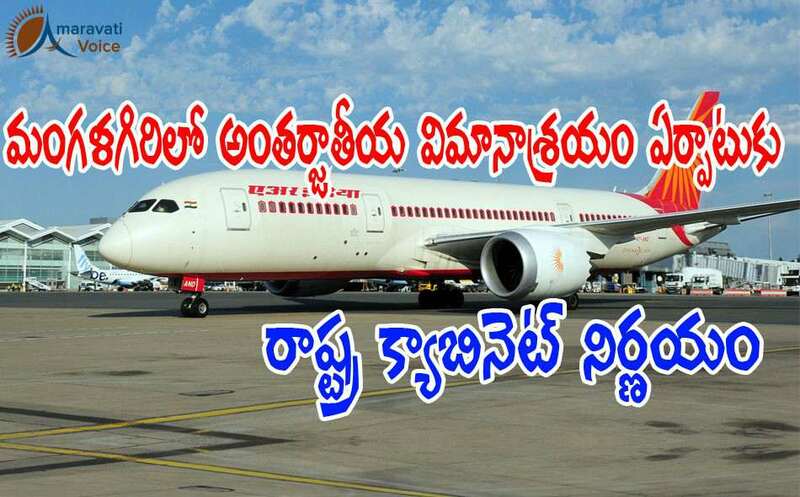 Andhra Pradesh State Cabinet on Thursday decided to develop an airport on 5,000 acres in Mangalagiri in Guntur District and extend the runway of the Visakhapatnam airport. Briefing the media on the Cabinet decisions here on Thursday, I&PR minister Palle Raghunatha Redy said that it was decided to improve air connectivity to all cities from Vizag Airport. "A MoU between the Airports Authority of India, the state and Central governments will be signed to develop infrastructure in civil aviation sector and also increase regional connectivity. He said that the move was aimed at increasing air traffic from Visakhapatnam by 60 per cent and also start international flights. In the master plan prepared by Singapore consultants, it is indicated that an international airport would come in Mangalagiri and government has now decided based on the master plan. The details are yet to know, how government will proceed on gathering the land required and from when the works would start.